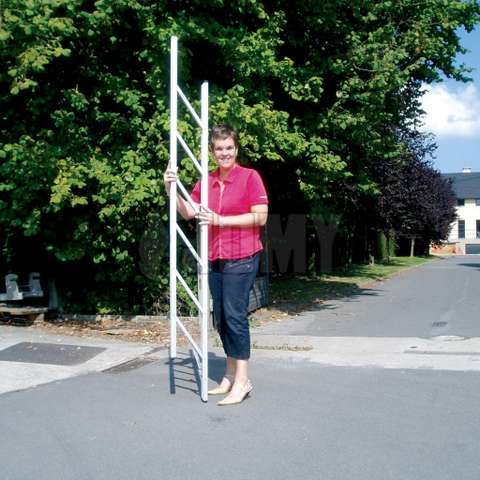 Foldable ladder that can be easily stored and transported. Section of only 64 x 48mm when closed. Thanks to this unique combination there is no more lack of space in your crowded emergency vehicles, elevators or wells. 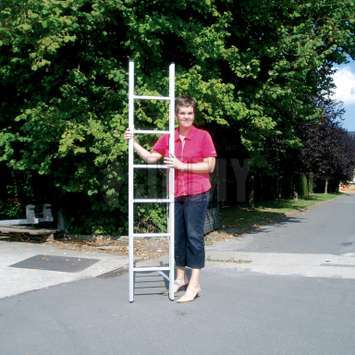 As a portable and foldable ladder, the JOMY Stick folds into a stick with a section of only 64mm x 48mm. It is easily stored and transported. Easy: The ladder opens easily and with minimal effort. 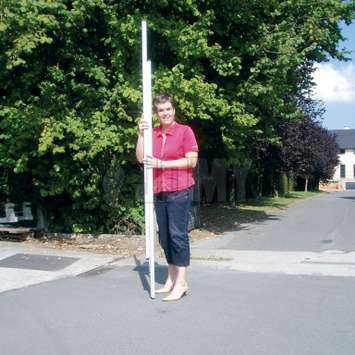 Light: The ladder weighs less than 1.5 lb/ft or 2.25 Kg/m. It is easily carried within one hand. Safe: The ladder safely locks in the open position. It is also equipped with anti-slip rubber ends. Strong: The ladder supports up to 350Kg. Comfortable: The rungs are 37mm wide with a gently curved upper side and anti-slip grooves. Durable: The ladder is made of high quality materials. The base material used is an aluminum alloy AlMgSi0,5/F25, anodized 10 micron, natural mat finishing; fasteners and rivets in stainless steel A2-70 DaN/mmÂ²; No protective treatment, painting or maintenance is required, except when exposed to harsh or aggressive environments. Color: As an option, the exterior parts of the closed ladder can be polyester powder coated in any RAL color. Standards: Satisfies the EN-131-1 ladder standard.